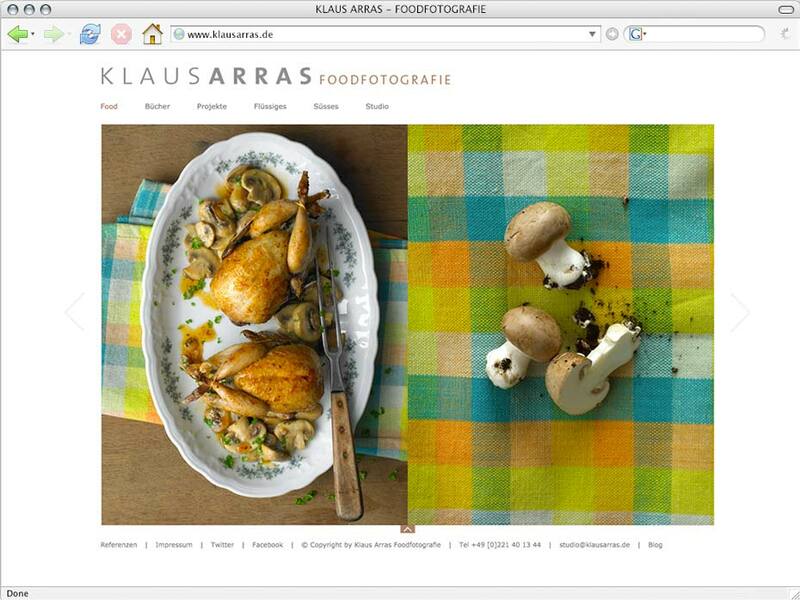 The food photographer Klaus Arras had problems keeping website up to date, since it was programmed based on Flash. 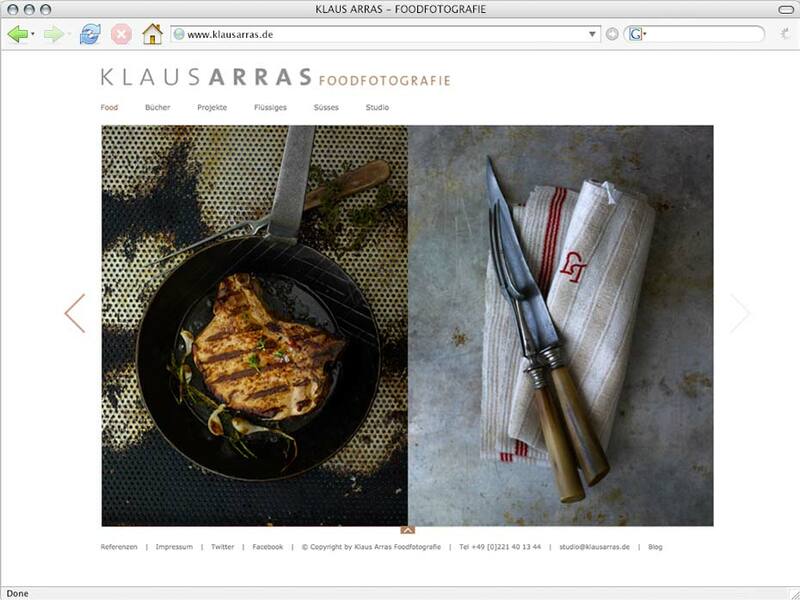 The site was pretty low on google because of the technology used for the programming. He also needed new business cards. 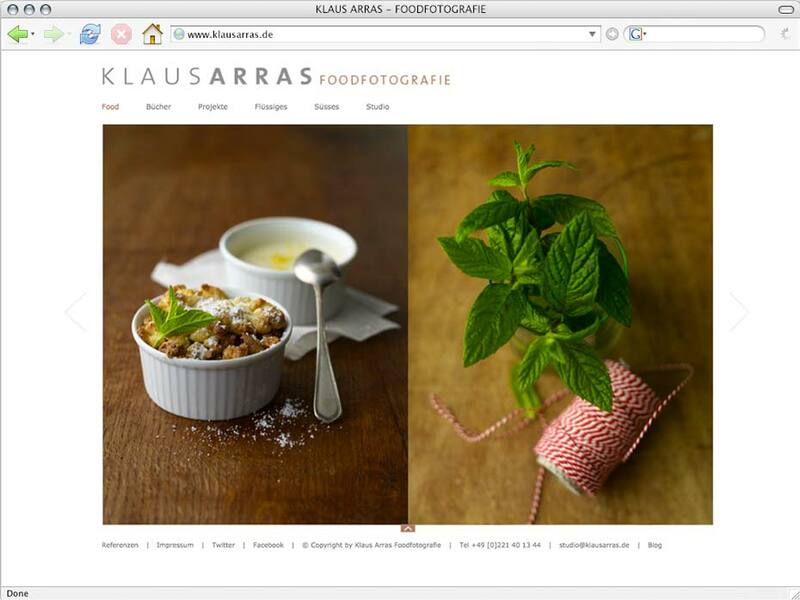 Conception and design of a creative technically contemporary website, which can be filled with new content and also better indexed by Google. 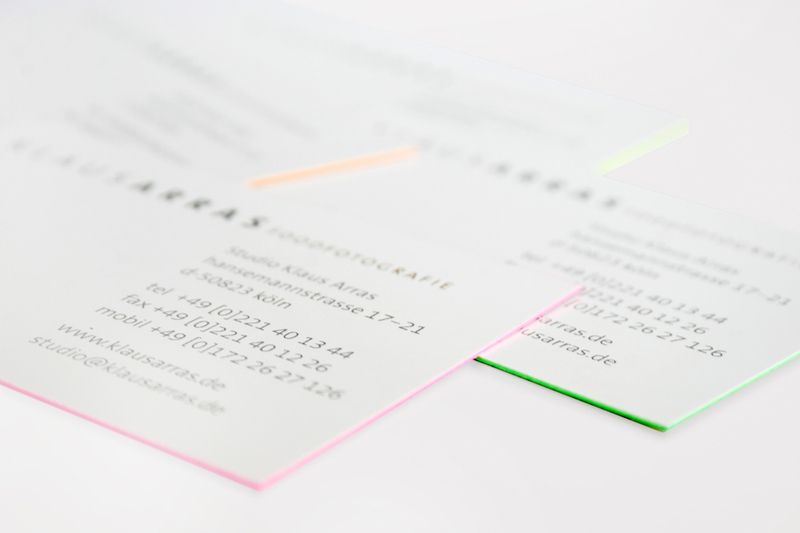 Designing a high quality business card. 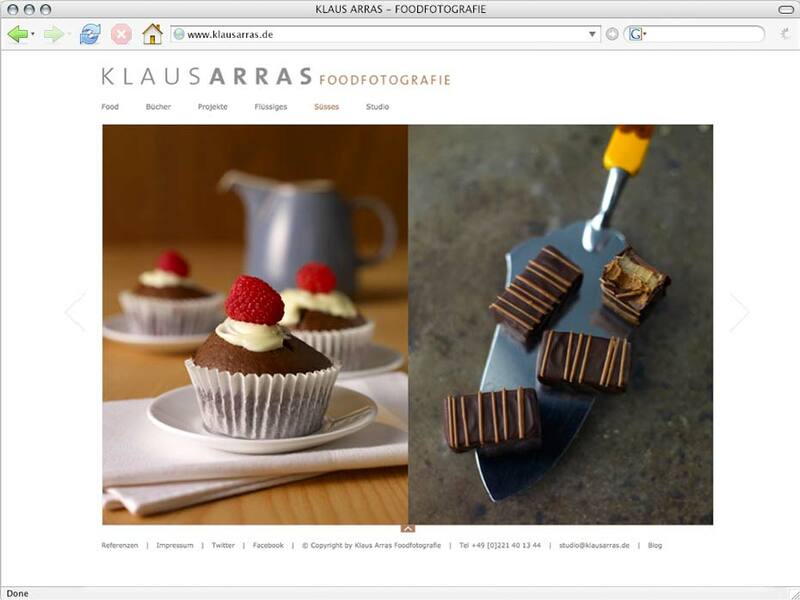 Website with an intuitive content management system and with a code which is set to the current standards. 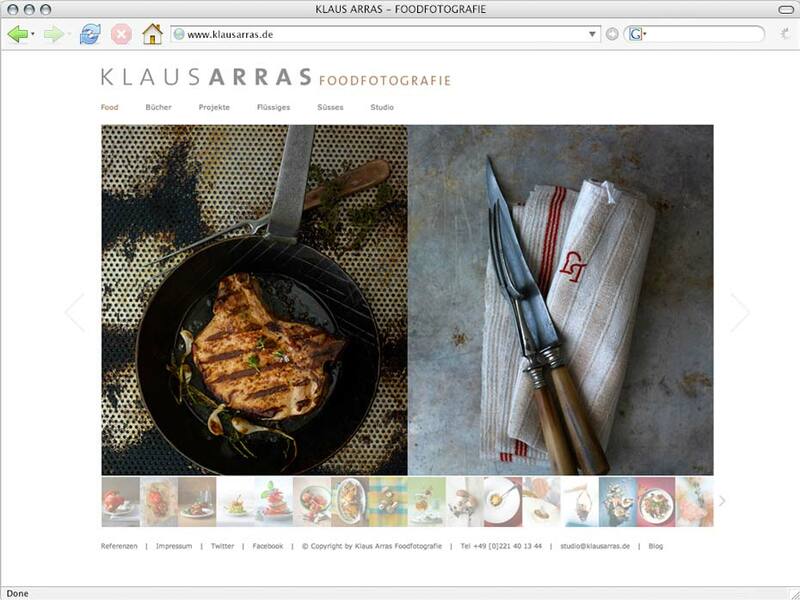 In combination with google optimization the customer is currently ranked number 1 in the Google search for >food photographer< and >food photography<. 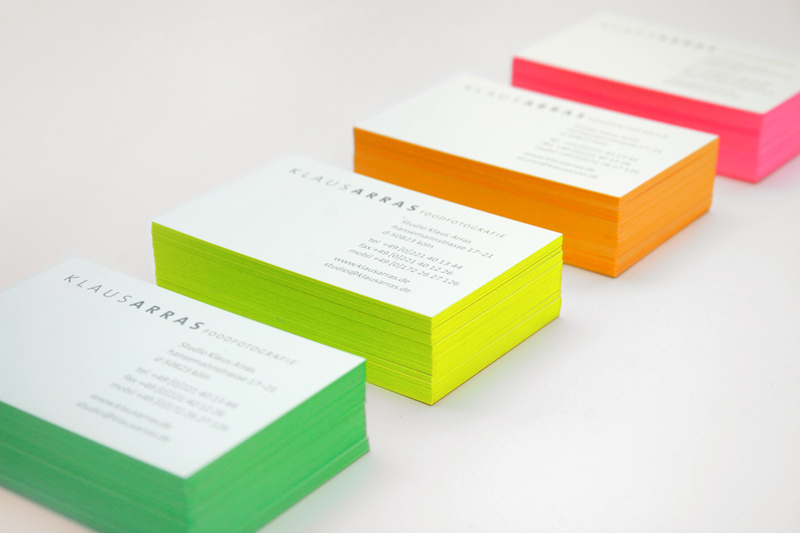 The classic business card is highlighted by different neon colored sides.